This is the back of the box of the Lego Back to the Future set, which I got last week. While I'm still disappointed with how they made the hood, it's still a nice set. 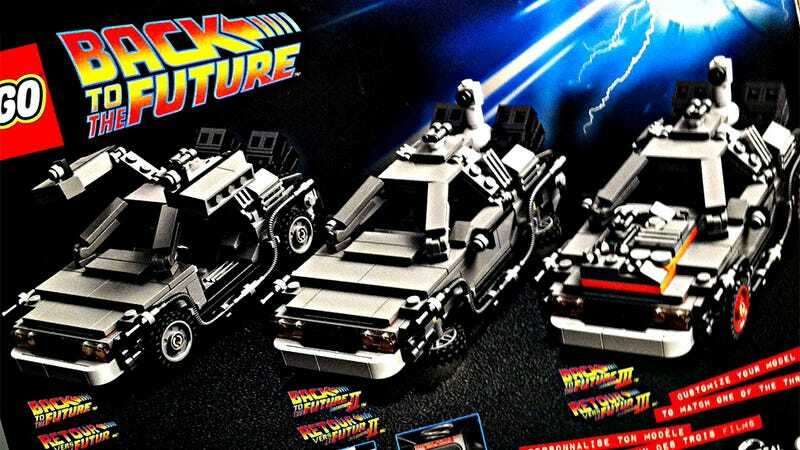 That car's front is easily fixable if you get some extra pieces—and the third movie's car actually looks nice. Masashi Togami—the guy who designed the original and much better Lego Cuusoo model—tells me it is now available in the Lego booth at San Diego Comic Con and some European Lego stores for $35. Remember that Masashi's cut of the profits will go to Michael J. Fox's foundation for Parkinson's disease. The set will be available for the general public on August 1.